Our product range encompasses elegant modular kitchens, stainless steel modular kitchen , Gas Hob and island kitchens. These products are highly appreciated for features like reliable performance,rigid construction,corrosion resistant finish, sophisticated designs, elegant looks,longer service life,optimum quality & excellent performance,these are widely used in kitchens,hotels,restaurants,& industrial canteens. We export our products all over the world. 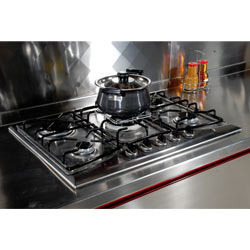 We offer exclusive variety of Hob Units which adds beauty to any kitchen. This comprises of an aesthetic look and consists of multiple cabinets, shelves for cutlery and multiple drawers. It also consists of a three burner stove and provides many other facilities. These are manufactured using supreme quality raw materials. These are stain resistant and durable. 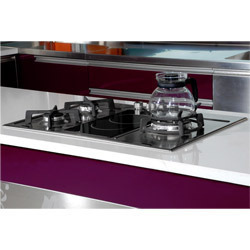 We are engaged in offering wide assortment of Back Flash Kitchen Hob Units. We have been fabricating world class Back Flash Kitchen Hob Units and delivering to domestic, office and institutional canteen to numerous customers. 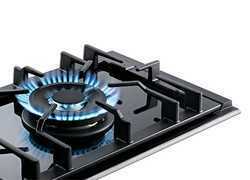 Looking for Hob Units ?